This time of year there’s always a buzz about whether an El Niño Southern Oscillation (ENSO) event is developing, and where it might affect the climate. ENSO refers to a coupling between equatorial Pacific Ocean sea surface temperatures and atmospheric conditions. 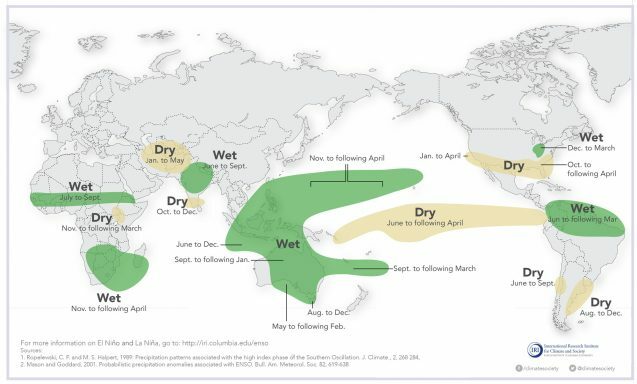 Both El Niño and La Niña, the two phases of ENSO, influence rainfall, floods, and droughts across much of the world. But why should we care what causes a drought? ENSO doesn’t necessarily force more natural disasters or stronger events, but it does change the pattern of events. 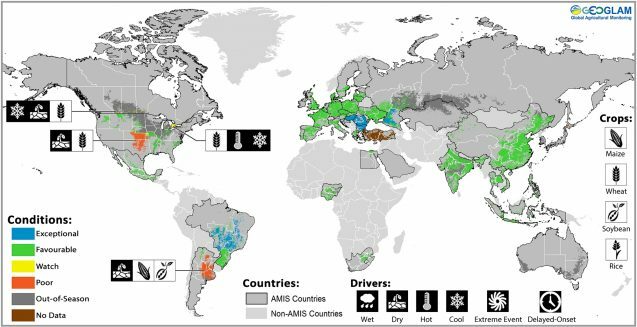 Your run-of-the-mill drought might damage a crop in one major breadbasket, but that drought is unlikely to be connected to other major crop-producing regions in the world. In fact, our modern food production system is based on the notion that crop failures in one region will be compensated by good harvests elsewhere. And as long as weather is random, there will always be some of each. Hooray pooled risk! But ENSO is different. It has a global influence that can affect crops in the United States, Southeast South America, Southeastern Africa, Australia, India and China. So in any given ENSO year, we risk multiple ENSO-forced breadbasket failures. That’s a serious concern for global food security. Wasn’t last year a La Niña? What’s the big deal? And this year is no anomaly. A 2014 study estimated that during ENSO events, global crop yields can be 2-4 percent lower than expected. To give that number some context, during the 2008 food security crisis, global wheat yields were down about 5 percent compared to the previous year. Granted, no food security crisis is caused by poor production alone. But when combined with structural, economic, and political factors such as those at play leading up to 2008, a global decline in production of 2-4 percent is nothing to scoff at. It isn’t all doom and gloom. In many ways, it’s preferable that a drought be caused by ENSO as opposed to random weather. El Niño and La Niña events are predictable up to a year in advance, meaning that we can plan for, and adapt to, poor growing conditions using ENSO forecasts in a way that two-week weather forecasts would never allow. In fact, organizations like Columbia’s International Research Institute for Climate and Society (IRI) have been developing ENSO forecasts to improve food security for decades now. The combination of cutting-edge ENSO research at Columbia’s Lamont-Doherty Earth Observatory and the implementation of climate services next door at the IRI provides a direct path for research to move from the pages of an academic journal to the fields of a farmer. That’s a good thing for food security. Weston Anderson is a graduate student at Columbia’s Lamont-Doherty Earth Observatory. He studies hydroclimate dynamics and their implications for agriculture and food security. I’d like to get more stories like this. The issues of climate change and food insecurity have become topical around the globe. The agricultural sector is highly vulnerable to climate change, especially where farming relies heavily on rain. African countries are particularly vulnerable to climate change because, in addition to their dependence on rain-fed agriculture, they experience high levels of poverty, low levels of human and physical capital and poor infrastructure. As both staple and cash crop agriculture are almost entirely rain-fed, rainfall variability during the growing season leads to fluctuating food production from year to year. Changes in rainfall also often lead to reduced harvest of staple foods, thus contributing to food insecurity. Madam Chairperson, distinguished guest, many crops have annual cycles, and yields fluctuate with climate variability, particularly rainfall and temperature. Maintaining the continuity of food supply when production is seasonal is therefore challenging. Droughts and floods are a particular threat to food stability and could bring about both chronic and transitory food insecurity. Both are expected to become more frequent, more intense and less predictable as a consequence of climate change. In rural areas that depend on rain fed agriculture for an important part of their local food supply, changes in the amount and timing of rainfall within the season and an increase in weather variability are likely to aggravate the precariousness of local food systems. It is to be noted, the affordability of food is determined by the relationship between household income and the cost of a typical food basket. Global food markets may exhibit greater price volatility, jeopardizing the stability of returns to farmers and the access to purchased food of both farming and non-farming poor people. Madam Chairperson, distinguished guests, the change in seasonality attributed to climate change can lead to certain food products becoming more scarce at certain times of year. Such seasonal variations in food supply, along with vulnerabilities to flooding and fire, can make livelihoods more vulnerable at certain times of the year. Although these impacts might appear indirect, they are important because many marginal livelihood groups are close to the poverty margin, and food is a key component of their existence. Agriculture is often at the heart of the livelihood strategies of these marginal groups; agricultural employment, whether farming their own land or working on that of others, is key to their survival. In many areas, the challenges of rural livelihoods drive urban migration. As the number of poor and vulnerable people living in urban slums grows, the availability of non-farm employment opportunities and the access of urban dwellers to adequate food from the market will become increasingly important drivers of food security. Agriculture-based livelihood systems that are already vulnerable to climate change face immediate risk of increased crop failure, loss of livestock and fish stocks, increasing water scarcities and destruction of productive assets. These systems include small-scale rain fed farming, pastoralism, inland and coastal fishing and forest-based systems. Rural people inhabiting coasts, floodplains and drylands are most at risk. The urban poor, particularly in coastal cities and floodplain settlements, also face increasing risks. Among those at risk, pre-existing socio-economic discriminations are likely to be aggravated, causing nutritional status to deteriorate among women, young children and elderly, ill and disabled people. Future vulnerability is likely to affect not only farmers, fishers, herders and forest-dependent people, but also low-income city dwellers, in developing countries, whose sources of livelihood and access to food may be at risk from the impact of extreme weather events and variable food prices, and who lack adequate insurance coverage. Madam Chairperson, distinguished guests, the youth run the risk of them also contributing to climate change and failing to mitigate it, just as past generations have been doing. In order for the youth to actively and meaningful participate and influence development into the direction of climate resilient development, it is important that they understand these issues and the challenges to their achievement. Given this scenario, there is need to allow the youth to actively participate in addressing the climate change problems, not as victims but more importantly as solution providers. It is in this context that the African youth should be recognised (not only on paper) as an age group with a lot of potential in addressing the climate change problem which spans within and across generations. Madam Chairperson, distinguished guest, in order for Africa to achieve climate resilient development, there is a need create appropriate packages for climate change adaptation and mitigation for the youth in particular. If the youth are not actively involved in the current climate change adaptation and mitigation efforts, they themselves when they pass the youth stage will keep on doing the same old ways which have been found to go against the objective of climate resilient development. This therefore require everyone’ participation, which calls for the active participation of the youth; it is in the youth that today and tomorrow’s development foundation is anchored. Growing attention to climate change and sustainable development offers a chance for green economic growth. Green jobs not only provide much-needed employment opportunities for youth, they also give the youth an outlet to contribute directly to the fight against climate change by adopting green behaviors in their private lives. 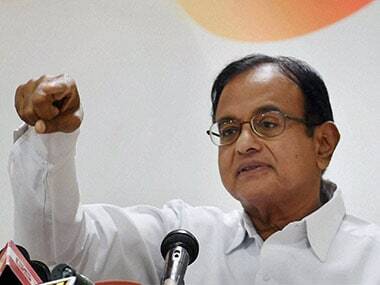 NEW DELHI: Congress leader P Chidambaram today accused the Narendra Modi government of “cruelly neglecting” the MGNREGA and the Food Security Act, saying the two legislations were brought by the previous UPA government to put an end to hunger deaths like that of the three minor girls in Delhi. The Mahatma Gandhi National Rural Employment Guarantee Act (MGNREGA) is a social security employment generation legislation which guarantees employment to the poor ensuring livelihood security and the National Food Security Act aims to provide subsidised food grains to the poor. “MGNREGA was intended to put an end to hunger. FOOD SECURITY ACT was intended to put an end to starvation. Both have been cruelly neglected by the BJP government,” Chidambaram tweeted. The former finance and home minister said as long as there were children who tragically starved to death, “we have to hang our heads in shame and grief”. Three minor girls died allegedly due to starvation in east Delhi on Tuesday leading to a huge uproar. 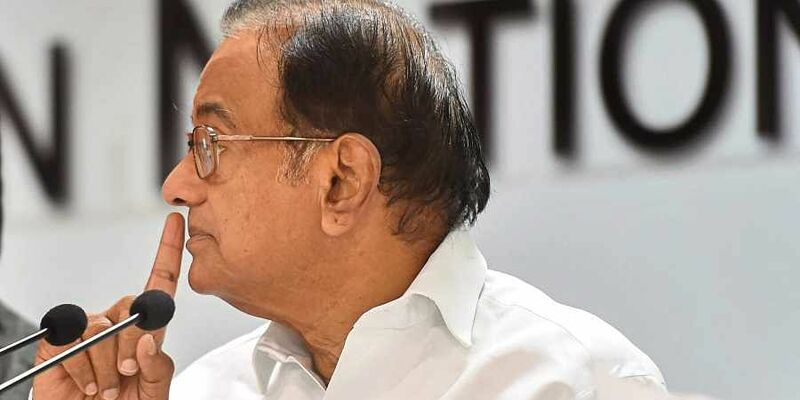 New Delhi: Congress leader P Chidambaram on Friday accused the Narendra Modi government of “cruelly neglecting” the MGNREGA and the Food Security Act, saying the two legislations were brought by the previous UPA government to put an end to hunger deaths like that of the three minor girls in Delhi. The Mahatma Gandhi National Rural Employment Guarantee Act (MGNREGA) is a social security employment generation legislation which guarantees employment to the poor, ensuring livelihood security and the National Food Security Act (NFSA) aims to provide subsidised food grains to the poor. Odisha Chief Minister Naveen Patnaik on Saturday announced that the state government would implement its own food security act from October 2 this year. Odisha’s own food security act would cover nearly 34.44 lakh people who have been left out from the National Food Security Act (NFSA), he said. Patnaik made this announcement while participating in the ‘Ama Mukhyamantri, Ama Katha’ (Our Chief Minister, Our Issues) programme in Bhubaneswar. “My government has always given importance to the food security of the poor. We have been providing rice at Rs 2 per kg since 2008. The success of the programme prompted the decision to launch rice at Re 1 per kg for people living below poverty line in 2013. 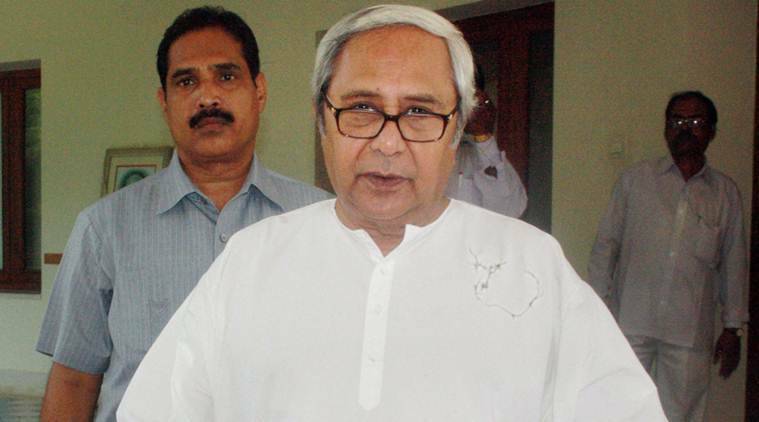 This was a big step towards food security in the country,” Patnaik said. Patnaik said lakhs of poor were being deprived of benefits under NFSA as the ration was being provided as per the 2011 census. From 2011 to 2018, the number of beneficiaries population has increased, he said. “Not a single poor man will be deprived of his rights once the new Odisha Food act is implemented on Gandhi Jayanti,” Patnaik said. The chief minister said he had taken up the matter relating to the left out population several times with the Centre but no step was taken to address this concern. Patnaik had written a letter to Prime Minister in this regard on May 23, 2018. “In 2011 Census data, the rate of growth of population of Odisha was 14 per cent in the last decade. In 2018, the population of Odisha has increased by 10.22 per cent as compared to 2011. It is estimated that the total population of Odisha in 2018 would be 4,62,63,983. Allowing the same percentage of coverage as was decided when the Act came into force, we are entitled to cover 3,60,85,907 beneficiaries under the NFSA Act,” Patnaik had said in his letter to the Prime Minister Narendra Modi. Patnaik had also requested the prime minister to sanction additional food for 34.44 lakh beneficiaries. He said in 2014, the ruling BJD had promised to implement state’s own food security scheme. Accordingly, it will launch its own Food Security Act from Gandhi Jayanti on October 2. Haughty Imperialism: Genetically Modifying the Way to Food Security? Those familiar with the debate around genetically modified organisms (GMOs) may be forgiven for thinking that science alone can solve the world’s food problems. The industry asserts that GMOs are vital if the world is to increase agricultural productivity and we are going to feed a growing global population. There is also the distinct impression that the GMO issue is all about ‘science’ and little else. People who question the need for and efficacy of GM have been labelled anti-science elitists who are responsible for crimes against humanity as they supposedly deny GM food to the hungry. Critics stand accused of waging a campaign of fear about the dangers of GM. In doing so, the argument goes that, due to ideology, they are somehow denying a technological innovation to farmers. Critics have valid concerns about GMOs and have put forward a credible evidence to support their views. But instead of engaging in open and honest debate, we see some scientists hardening their positions, lashing out at critics and forwarding personal opinions (unrelated to their specific discipline) based on their perceived authority as scientists. There’s a fine line between science and industry-inspired lobbying and spin. Unfortunately, a number of scientists have difficulty locating it. An accusation sometimes levelled at critics of GM is that they have trouble when it comes to differentiating between the technology and the companies who have come to dominate GM: they are thus overly concerned with waging an assault on big business and capitalism, losing site of the potential benefits of GM. For sure, GM technology has become associated with large conglomerates that have rolled it out as a tool to further consolidate their dominant market position. These corporations are embedded in a system of capitalism that facilitates corporatisation of the global food regime and all that entails: for instance, a push towards seed monopolies, the roll-out of highly profitable proprietary inputs and chemical/biotech treadmills, leverage over legislation, trade deals and treaties and the general boosting and amalgamation of corporate power (as seen by recent mergers and acquisitions). However, it is unfair to accuse critics of being unable to differentiate between the food regime and GM itself. Both scientists and non-scientists have concluded that genetic engineering poses unique scientific risks and has political, cultural, ethical and economic ramifications. There are good reasons why in Europe robust regulatory mechanisms are in place for GM. GM food/crops are not substantially equivalent to their non-GM counterparts. and more studies are highlighting the flawed premise of substantial equivalence. Given the risks, the precautionary principle is recognised as a sensible approach. International consensus exists that the products of genetic engineering are not equivalent to their conventional counterparts. Many of the potential hazards are inherent in the GE process itself, and “are not techniques used in traditional breeding and selection” (Cartagena Protocol on Biosafety, on page 7 of this document, where the example of GM maize and the amino acid lysine is also discussed; in addition, see references 5-10 at the bottom this page here). There is sufficient reason to hold back on commercialising GM and subject each GMO to independent, transparent environmental, social and health impact evaluations: there can be no blanket statement that all GMO crops/foods are safe or somehow ‘good’. The claim of substantial equivalence is an industry get-out tactic to avoid the inconvenience of proper assessment and regulation. And any claim that there is consensus on the safety/efficacy of GM within the ‘scientific community’ is based on spin rather than reality. This, along with the claims that ‘the science is decided’ on GM is mere rhetoric designed to close down debate. There are major uncertainties concerning the technology (not least regarding its precision and health safety aspects), which are brushed aside by claims of ‘the science’ is decided and the ‘facts’ about GM are indisputable. Such claims – alongside the attempt to sideline non-scientists from the debate – are merely political posturing and part of the agenda to tip the policy agenda in favour of GM. We must consider too that many things that scientists are trying to achieve with GMOs have already been surpassed by means of conventional breeding. We should not accept the premise that only GM can solve problems in agriculture. Non-GMO options and innovations have out-performed GM. So why press ahead with a technology that changes the genetic basis of food with all that entails for human health and the environment? Despite critics’ concerns, they continue to be attacked for supposedly being anti-science and anti-choice. For instance, the pro-GMO line of blaming people in richer countries for denying the benefits of GM to others elsewhere has become part of industry rhetoric. The case of Golden Rice is often used as an example. UK politician Owen Patterson is on record as saying that wicked activists are denying food to little children. Glenn Stone and Dominic Glover (Washington University and the University of Sussex) have noted that this claim just does not stack up. Golden Rice has not come to market because ongoing tests show it has failed to deliver as a technology. Meanwhile, Vitamin A deficiency is falling dramatically in the Philippines, while the claims about Golden Rice remain wishful thinking. It is a convenient and misleading to accuse ‘privileged activists’ in affluent countries of denying choice to poor people by preventing the commercialisation and cultivation of GM crops across the globe. In South America and Africa, for example, it is not some affluent bunch of activists in rich countries who are against GM. It is local farmers and it is because corporations with US govt help and philanthropic colonialists like Bill Gates are moving in to assert their leverage in agriculture and over indigenous farming. White male European so-called experts are channelling the message of the biotech industry, heavily controlled by US-European seed and chemical giants Monsanto/Bayer, Syngenta and DuPont Pioneer. The message once again is that failure of African farmers to adopt GMO technology is the root cause of hunger and poverty on the continent. It is ironic that GMO foods are banned by law as unsafe in the European home countries of those giving the advice. Meanwhile the African biotech scientists seem more concerned that the strict liability measures will chase away donor funding and investment for their costly and “prestigious” research. ASFA then goes on to highlight the false promises and failures of GM in Africa. Clearly, it is not just the politics of GM that ASFA has concerns about: it is the technology itself. It is misleading when supporters of GM call people’s attention to apparent public sector funding of GM and the apparent altruism that is claimed to underpin the GM project. Even when not directly pushing GM to boost the bottom line, big business (and US state interests) is certainly present in the not too distant background. As with the current push for GM mustard (also misleadingly portrayed as a public service endeavour) in India, ‘pioneering’ crops have a role in opening the GM floodgates in a region or country (there are sound reasons for rejecting GM mustard as described by Aruna Rodrigues in her submitted court documents). But is this type of ‘activism’ denying choice to farmers? Not at all, as I have outlined elsewhere. If anything, large corporations do their best to break traditional practices and environmental learning pathways developed over time with the aim of getting farmers on technological treadmills. These same companies also exert their leverage on a wider level via the WTO, Codex and various international agreements. But you never see supporters of GM campaigning against any of this. Perhaps they are too busy helping the process along via the right-wing neoliberal think tanks they are associated with. Instead, they fixate on Greenpeace or ‘activists’ whose leverage is dwarfed by the power of these corporations. Pro-GMO activists make great play about ‘potential’ benefits of GM and roll out examples to ‘prove’ the point. Fine, if these benefits really do stack up in reality; but we need to look at this objectively because plenty of evidence indicates that GM is not beneficial and that non-GM alternatives are a better option. Most of all, we need to put commercial interests and the career/funding interests of scientists to one side when determining the need for and the efficacy of GM. Banning GMOs will not solve the problems associated with lobbying and corruption, the adverse impacts of pesticide use, corporate monopolies, monocultures, food commodity speculation, the denial of peasant’s land rights or any other problems associated with the capitalist food regime. But neither will GM lead to ensuring global food security. We must look away from the industrial yield-output paradigm and adopt a more integrated, systems approach to food and agriculture that accounts for many different factors, including local food security and sovereignty, local calorific production, cropping patterns and diverse nutrition production per acre, water table stability, climate resilience, good soil structure and the ability to cope with evolving pests and disease pressures. This is precisely why, from Africa to India, locally owned, grass-root agroecology and zero budget farming are gaining traction. Scaling up agroecology offers potential solutions to many of the world’s most pressing problems, whether, for instance, climate change and carbon storage, soil degradation, water shortages, unemployment or food security. Working with the natural environment (as Bhaskar Save notes) involves a different mindset from that which wants to genetically engineer it and all the risks and unforeseen consequences that it inevitably entails. If readers take time to click on the previous link for Bhaskar Save, it becomes patently clear that undermining or eradicating one system of farming by imposing another has serious ethical, environmental, social and political ramifications. Something that scientific research does not concern itself with. The consequences of GM do not just relate to unpredictable changes in the DNA, proteins and biochemical composition of the resulting GM crop. Introducing GM can involve disrupting cultures and knowledge systems and farmers’ relationships with their environments. Who is to say that GM is somehow ‘better’ or should take precedence over these traditional systems? Corporate boardroom executives or well-funded microbiologists each with their own agendas and looking at things from their own blinkered perspectives? Once those systems are disrupted, the knowledge and practices that underpin them become lost forever. For instance, in terms of an integrated pest management strategy, Devinder Sharma talks of women who can identify 110 non-vegetarian insects and 60 vegetarian insects. Can such knowledge survive? To be wiped out for corporate profit and a flawed GM experiment? As described in this paper, for thousands of years farmers experimented with different plant and animal specimens acquired through migration, trading networks, gift exchanges or accidental diffusion. By learning and doing, trial and error, new knowledge was blended with older, traditional knowledge systems. The farmer therefore possessed acute observation and has traditionally engaged in risk minimising strategies. Farmers took measures to manage drought, grow cereals with long stalks that can be used as fodder, engage in cropping practices that promote biodiversity, ethno-engineer soil and water conservation, use self-provisioning systems on farm recycling and use collective sharing systems such as managing common resource properties. Farmers know their micro-environment, so they can plant crops that mature at different times, thereby facilitating more rapid crop rotation without exhausting the soil. Today, however, large-scale industrial-based agricultural production erodes biodiversity by depleting the organisms that live in soil and by making adverse changes to the structure of the soil and the kind of plants that can be grown in such artificially-created environments. Many of the practices of small farmers are now recognised as sophisticated and appropriate. It is no surprise therefore that various high-level reports have called for agroecology and smallholder farmers to be prioritised and invested in to achieve global sustainable food security. Instead, what we see is the marginalisation traditional organic agriculture by corporate interests. Traditional food production systems depend on using the knowledge and expertise of village communities and cultures in contrast to prioritising imported ‘solutions’. The widespread but artificial conditions created by the latter work against the survival of traditional knowledge, which creates and sustains unique indigenous farming practices and food culture. None of this is based on a romantic yearning for the past or ‘the peasantry’. It is for good reason that the reports referred to call for investment in this type of agriculture centred on small farms: despite the pressures (including the fact that industrial agriculture grabs 80%of subsidies and 90% of research funds), it continues to feed most of the world. Cultural, ethical, political and environmental considerations matter just as much – even more – than the science of GM. And that’s even before we consider how the ill thought out introduction (or imposition) of GM can have dire financial impacts for communities, as has been the case with Bt cotton in many areas where it has been adopted. In acknowledging the type of food regime that exists and the risks, motives and implications of GM, pushing back against the large corporations that hold sway over the global food system, food sovereignty based on localisation and (political) agroecology is necessary. This involves reclaiming the food system and challenging the leverage that private capital has over all our lives. In the meantime, we are not talking about ‘banning’ anything. Where GMOs, gene editing, synthetic biology or other similar technologies are concerned, we require a responsible approach based on transparent social, health and environmental impact assessments. In the absence of this, there should be a moratorium because the potential for a responsible approach is most definitely lacking: Rosemary, Mason, Carol van Strum, the late Shiv Chopra, Evaggelos Vallianatos and others have described how high-level institutions responsible for food and environmental safety have been subverted and corrupted over the years by commercial interests. Decades on from Rachel Carson, have we learned nothing? If the people listed above tell us anything, it is that the ‘pesticide revolution’ was based on widespread fraud. We are now trying to deal with the health and environmental impacts of dousing the land with agrotoxins year in, year out. They also tell us that commercial interests should not determine regulatory regimes. We need transparency, democratic accountability, science untainted by corporate interests and robust public institutions which guard against commercial interests that undermine regulatory decisions. It is because food and agriculture have become wedded to power structures that have created food surplus and food deficit areas and which have restructured indigenous agriculture across the world and tied it to an international system of trade based on export-oriented mono-cropping, commodity production for a manipulated and volatile international market and indebtedness to international financial institutions. Once you understand how global capitalism and its corporate food regime operates and how private capital shapes and benefits from a food regime based on an exploitative ‘stuffed and starved’ strategy, you realise that genuine political and economic solutions are required if we are to feed the world and ensure equitable food security. We must not be deterred by the “haughty imperialism” that exists in scientific circles that aggressively pushes for a GMO techno-fix. We must not be distracted from the root causes of poverty, hunger and malnutrition. This weekend in Saskatoon the focus will be on locally grown food — extremely local, as in your yard. “Around the world, 20 per cent of food production is from urban areas, so we have a lot of potential in Saskatoon to increase the amount of food that we grow,” Gord Ens told CBC Radio’s Saskatoon Morning. Ens is with the Saskatoon Food Council and is one of the organizers of Saturday’s Urban Ag tour, a showcase of gardening idea in Saskatoon. There will a bountiful variety of gardening ideas on the tour with 10 stops this year, including a small plot that has been carved out of parking space. One of the highlights of the tour again this year will be Rachel Engler-Stringer’s garden with special raised containers that require very little watering. “It’s a challenge and it is fun, but right now the worst part in terms of work, which isn’t really bad is that there is so much produce that I am constantly harvesting,” said Engler-Stringer. Engler-Stringer’s Caswell neighbourhood garden also features Hügelkultur, which is a form of composting. It’s done by building a mound of dead wood and debris, covered it with dirt. “In our case it is heart shaped; from above it looks like a giant heart,” she said. The tour even comes with a bit of a rebellious stop. City Hall continues to ban urban chickens, but they will be a stop on the tour. Ens said the chickens are just there as an example of what could be. This is the 2nd Annual Urban Ag tour in Saskatoon, and people can walk, bike or drive the route beginning at 8:30 a.m. CST on Saturday. At a time when many managed and wild-bee species are in a severe decline that threatens food security, researchers from Athlone Institute of Technology (AIT) and Maynooth University have joined forces with the University of Minnesota, in the US, to tackle diseases affecting pollinators. Prof. Neil Rowan from AIT and Dr. Michael Goblirsch from the University of Minnesota are collaborating by looking at the specific use of enabling disruptive technologies. This includes the novel treatment of pollen that may harbour complex parasites and viruses as a critical control point for treating and preventing their spread or cross-transmission to honeybee and bumblebee species. The trans-disciplinary research is supported by an OECD (Organisation for Economic Co-operation and Development) CRP (co-operative research programme) agriculture fellowship and by an EPA (Environmental Protection Agency) co-funded PhD. The research also acts as innovation platform to unite with Dr. James Carolan of University of Maynooth in co-investigating the impact of such interventions and approaches on bee immunity and health. The foundation of the work arose from frontier studies undertaken by Prof. Rowan with John Naughton, an MSc graduate from AIT, Dr. Erin Jo Tiedeken, formerly a post-doctoral researcher AIT and now at the University of New Jersey, and Prof. Jane Stout of Trinity College Dublin that was published in a leading agriculture journal. This applied innovation project is also framed to complement other pollination-based projects affecting agriculture and ecosystem service management – such as the recent H2020 PoshBee project. “Animal pollinators are critical for food security and ecosystem servicing that ensures the reproduction of the majority of wild flowering plants, as well as most flowering crops,” said Prof. Rowan who is director of the Bioscience Research Institute at AIT. 87 of the main 124 crops used directly for human consumption require or benefit from animal pollination annually. Pollinator services contribute €153 billion and €54 million to the global and Irish economies respectively. “Wild bees are often the most effective animal pollinators. However, domestic honeybees have been introduced worldwide for commercial crop pollination. In the 1980s commercial rearing and importation of bumblebee colonies for pollination of certain crops began,” said Prof. Rowan. Today, commercial bumblebee colonies are imported by over 50 countries and the practice has an estimated annual value of €55 million. However, many managed and wild-bee species are in severe decline that threatens food security worldwide. “More than half of Ireland’s bee species have experienced substantial declines since the 1980s, so this issue is of great national concern – evidenced by the recent publication of the All-Ireland Pollinator Plan. “A critical contributing factor to pollinator decline is an increase in the spread of a broad range of parasites, including mites, protozoans, bacteria, fungi and viruses. Some parasites appear to be host-specific but most appear to infect multiple bee species. “The host range, natural geographic range and virulence in different bee hosts are poorly understood for bee parasites. That reflects in part the absence of effective mitigation strategies to address this significant problem,” Prof. Rowan said. He highlighted that there is also considerable concern that the or human-influenced movement of managed bees for crop pollination purposes has led to the accidental introduction of bee parasites into countries and continents where they do not naturally occur. “This exposes native bees to parasites which may have little resistance,” he said. “Parasites can move between managed or commercial colonies and can even spill over into conspecific wild bee populations that is a serious concern. It was pointed out that such disease associations have already occurred between managed and wild bees, both in the UK and Ireland. 73.5% of screened commercial bumblebee colonies imported to Ireland were infected with a least one harmful parasite. “Mitigation measures that reduce parasite loads among managed bees must therefore be developed and implemented in order to protect wild bee populations,” Prof. Rowan stressed. He highted that “multiple stressors” – such as exposure to pesticides – affect honeybee and bumblebee health, well-being and pollination functionality. “Uncertainty brought on by large variances in climate change may contribute significantly to this problem,” he said. Recently Juanita Browne, All-Ireland pollinator plan project officer, expressed concern about the continuing decline of the Irish bumblebee populations. Food Security continues to be an essential topic for discussion in all social and academic discourse. It is imperative to note that achieving Food Security through Sustainable Agriculture will help meet SDG 1 (end poverty in all its forms everywhere) and SDG 2 (end hunger, achieve food security and improved nutrition, and promote sustainable agriculture) and also contribute significantly to and benefit from many of the other 15 SDGs. Ghana, an Agricultural country with Agricultural Land Area of about 13,628,179 hectares representing 57.1% of the Total Land Area, ought to be more concerned about producing more food to achieve Food Security in order to address the problem of food shortages that often confront the nation. It is reported that in 2017, Ghana imported a total of over 135,000Mt (about 112 million birds) of frozen chicken from European Union (EU), which is 76% increase over the 2016 EU import. Meanwhile, the national potential poultry output is estimated at 4.4 million birds. In January 2017, a report from Oxford Business School revealed that only 34% of rice consumed in the country is produced locally, whiles 66% are imported. The report also indicates that although the country’s domestic production has increased by 12 percent over the 2010-15 periods, domestic consumption increased by double that rate over the same time frame. As a result, Ghana imports between $300 million and $500 million of rice annually. The report further states that, between 1999 and 2008, rice consumption grew from 17.5 kg to 38 kg per capita and is expected to reach 63 kg per capita by 2018. At the 37th World Food Day by the United Nations under the theme, “Change the Future of Migration-Invest in Food Security and Rural Development”, the President of Ghana revealed that the objective of the Warehouse initiative was to increase production of staples like maize by 30%, rice by 25%, sorghum by 28 % and soya bean by 25%.The programme was said to be part of the larger component of government’s Infrastructure for Poverty Eradication Programme (IPEP). Inasmuch as we acknowledge this laudable initiative, we need to also admit that there is more to be done if we want to achieve food security to avoid food shortages which could lead to extreme hunger and put pressure on the national purse. We need to be more practical in our approach and also understand that the responsibility lies on every citizen of Ghana and not just the government. Various schools of thoughts have given different definitions or explanations to Food Security. According to the Food and Agriculture Organisation (FAO), Food Security is a situation that exists when all people, at all times, have physical, social and economic access to sufficient, safe and nutritious food that meets their dietary needs and food preferences for an active and healthy life (State of Food Insecurity,2001). The World Food Summit also states that food security, at the individual, household, national, regional and global levels [is achieved] when all people, at all times, have physical and economic access to sufficient, safe and nutritious food to meet their dietary needs and food preferences for an active and healthy life. Both definitions provide the basic ingredients of Food Security and therefore suggest that anything short of that will constitute food insecurity. The practical understanding of the concept of food security is that the small holder farmer at Amisano, Dabir, Amoanda and Simiw in the Central Region, Bupe in the Northern Region, Akateso and Elluokrom in the Western Region, Kasapin in Brong Ahafo Region, Akumadan and Bodwesango in the Ashanti Region, Maame Donkor, Yawkrom and Nketepa in the Eastern Region must be able to produce quality food and conveniently transport them to the market place at the right time for consumers to patronise for a healthy life. Sustainable Agriculture seeks to sustain farmers, resources and communities by promoting farming practices and methods that are profitable, environmentally sound and good for communities. Sustainable Agriculture therefore fits into and complements modern agriculture. It rewards the true values of producers and their products. In other words, Sustainable Agriculture is achieved when farming is economically viable, socially responsible and ecologically sound (www.westernsare.org).This implies that farmers must have quality life and must be able to cater for their families, educate their children to any level they want and also pay for basic utilities. Again, farmers must be able to earn equitable or reasonable income from the farming business and protect the environment. 1. Implementation of Farmer Training Programs. Training is important in any field of endeavour. Thus, there is the need to train all our small farmers on morden agricultural techniques to be able to produce more food to help achieve Food Security. More specifically, small holder farmers must be trained on Good Agricultural Practices (GAP), Integrated Pest Management (IPM), Integrated Crop Management (ICP), Good Environmental Practices (GEP), Good Business Practices (GBP), Soil Fertility Management (SFM), and Financial Literacy. The current ratio of one Agric Extension Officer to 1,500 farmers in Ghana is inadequate for effective farmer training. Therefore the government must partner some private practitioners who have in place modern and tailor-made training models to ensure that every farmer in Ghana receives some level of training. It is interesting to note that due to inadequate or lack of training, most farmers do not know how to apply agro-chemicals properly. They usually over apply or under apply the agro-chemicals which affect the plant and the produce quality as well. This also affects crop yield per unit area. Also, most small holder farmers are unable to dispose off agro-chemical containers properly. Some wash and use them in the house and others just leave them on the farm. Others also find it difficult to adhere to instruction on agro-chemical usage such as pre-harvest interval. This perhaps, is the reason why vegetables sold on the market in recent times are reported to contain chemical residues making poisonous and unwholesome for consumption. In addition, most small farmers in Ghana are unable to tell whether they are making profit or loss in their farming business. Hence, it is important to implement farmer training programs to help build capacities of small holder farmers to help them produce more quality foods on sustainable basis to help achieve Food Security. In Ghana, small holder farmers are usually neglected when it comes to access to finance. As result, they are unable to invest in their farm business to be able to produce more to feed the nation to help our food security situation. We must not forget that small holder farmers constitute the majority of the financially excluded in Ghana and until we acknowledge this fact we will never achieve the objectives of financial inclusion programs in Ghana. Owing to the neglect by formal financial institutions, small holder farmers usually have no option than to borrow at high interest rate from private money lenders to pay for labour and purchase inputs for their farms. When small holder farmers are given financial assistance, they will be able to improve their business by purchasing the necessary agro inputs at the right time to apply on their farms, do proper farm maintenance and also pay for labour cost. This will help increase farmers’ crop yield per unit area, increase farmers’ income, improve their livelihood and also help expand their farms. This will eventually help us to achieve Food Security. 3. Access to Quality Agro Inputs. Having access to quality agro inputs is also another challenge facing the Ghanaian farmer. It is an undeniable fact that there is high influx of sub-standard and unapproved agro-chemicals on the market which farmers buy to apply on their farms. These sub-standard agro chemicals affect the health of the plants in the long term and also reduce crop yield per unit area. The interventions of both past and current government in the provision of agro inputs to farmers are commendable. It is also good that the private sector is involved. In addition to these government interventions, we can also have a National Agro Inputs Credit Scheme where farmers will be given inputs and allowed to repay in the major harvesting season. This will have to be management by professionals with the necessary experience. This will ensure that the farmers get accessed to the inputs at the right time, apply them at the right time to increase crop yield. It will also help stabilise farmers’ cash flow and therefore encourage them to produce more quality foods. In addition, we must develop a farmer database system where we can have full details of the farmer, his/her farm information, years of experience and crop yield. This database will help us track the annual crop production in the country and guide us in our yearly planning and crop production target. Ghana has been practicing rainfed agriculture since independence; hence we always have to wait for the onset of rain before planting begins. If for any reason the rainfall pattern changes then we are found wanton. It is high time we moved away from weather dependent agriculture to a more advance form to be able to produce more to achieve food security. According to MOFA (2010), out of total agricultural land area of 13,628,179 hectares in Ghana, only 0.2% (30,269) is under irrigation. This provides us a bigger opportunity to implement micro irrigation programs for small holder farmers to produce more food to help achieve food security. This could be in the form of a scheme where farmers are made to form groups, registered and then given micro irrigation machines on credit and allowed to repay in bullet instalments during harvesting season. The micro irrigation credit will be based on farmers’ capacity to repay and the willingness to repay. This could be a public private partnership program where highly experienced and professional individual will be made to manage. It may even be a partnership between a bank and private company with support from the government. This initiative will keep small holder farmers in business especially vegetable farmers, cereal farmers, horticultural crop farmers, and cocoa farmers. Post-harvest handling, which is a component of Sustainable Agriculture, is also key in achieving food security and cannot be over looked. This stage crop production follows immediately after harvesting. As soon as a produce is harvested, it begins to deteriorate, hence there is the need for good post-harvest handling techniques. It greatly affects the quality of the produce and determines whether it should be sold for fresh consumption or processed. Ghana loses about 318,514 tonnes of maize annually to post-harvest losses (Tran, 2016), which represent about 18% of the country’s annual maize production. According to a research conducted in 2013 by the Urban Association Limited (TUAL) on post-harvest losses of selected food crops in 11 African countries including Ghana, revealed that almost 50% of food crops produced in the country do not get to the consumer. More than 50% of food crops produced in Ghana do not make it to the final consumer due to Post-Harvest Loss (PFAG, 2017). These information calls for establishment of post –harvest facilities to minimise food losses which affect food security in the country. There is the need to also include traceability systems in the post-harvest facilities to ensure that every produce could be traced to the farmer who produce it or the community where it was produce to check poor quality produce. In Ghana farmers usually do not have reliable market source for their produce. Apart from Cocoa and perhaps Cashew which have guaranteed and regulated market by COCOBOD, all the other agricultural produce are not easy to be sold because of lack of reliable market. The National Food Buffer Stock Company (NAFCO) which was established to provide guaranteed market for food grain is timely and commendable but similar institutions should be put up to cater for other crops such as vegetables, cassava, pineapple and pawpaw. When this is done, farmers will be encouraged to stay in business to produce more food for the nation and also make some reasonable income to take care of their families and improve their livelihood. Food Security and Sustainable Agriculture are inseparable. They are bedfellows. We cannot achieve food security as a nation if we do not ensure that Agriculture becomes a sustainable business. Agriculture is said to be sustainable when it is economically viable, socially supportive and ecologically sound. This means that the average small holder farmer must see increase in crop yield per unit area, increased income, improvement in his livelihood and be able to pay for basic utilities and educate his children. Therefore our food security as a country is dependent upon having a Sustainable Agriculture. Hence, government must partner the private sector to analyse and consider implementing the above suggested practical interventions to help achieve food security in Ghana. 1. FAO. 1996. Rome Declaration on World Food Security and World Food Summit Plan of Action. World Food Summit 13-17 November 1996. Rome. 2. FAO. 2002. The State of Food Insecurity in the World 2001. Rome. 3. Sen, A. 1981. Poverty and Famines. Oxford: Clarendon Press. 4. FAO. 2002. The State of Food Insecurity in the World 2001. Rome pp. 4-7. 6. AO. 1983. World Food Security: a Reappraisal of the Concepts and Approaches. Director General’s Report. Rome. With an eye on polls next year, the Naveen Patnaik government in Odisha has planned to roll out its own food security scheme from October 2 this year, giving subsidised ration to 34.44 lakh beneficiaries, who were left out from the National Food Security Act. In a video message on Saturday, Patnaik said once the scheme is launched, not a single poor here will be deprived of his rights. “I have always given importance on food security of the poor people. We have been providing rice at Rs 2 per kg since 2008. Success of the programme had prompted the state government to launch rice at Re 1 per kg scheme for all needy people in 2013,” he said. Nearly 34.44 lakh poor people in Odisha were excluded from the national scheme that was implemented as per the socio-economic caste census in 2011. These people were ineligible as they came under nine exclusion criteria, including persons having four wheelers or two three wheelers, persons with electric consumption above 300 units, persons having tractors, power-tillers, fishing boats or other heavy vehicles. In Odisha, an estimated 3.26 crore people of the 4.19 core population or 78% are covered under the NFSA that was launched in 2015, informed Patnaik. Food supplies and consumer welfare secretary VV Yadav said the state would tweak the Odisha Food Security Rules, 2017, to add the 34.44 lakh new beneficiaries. “There are provisions in the rules which empowers the state to expand the scope of coverage,” he said. With Odisha’s population growth touching 14% in the last decade, officials said the state’s total population had touched 4.62 crore in 2018. “Allowing the same percentage of coverage as was decided when the Act came into force, then we have to cover 3.6 crore beneficiaries under the NFSA,” Patnaik wrote to PM Narendra Modi in March this year. Congress leader Sarat Rout described the scheme as political gimmick while BJP leader Golak Mohapatra said the new scheme was not necessary as the state government failed to provide NFSA cards to eligible beneficiaries in the state. The BJD in its manifesto for 2014 polls, had talked about a state-specific food security act in which BPL households would not be the only criteria for availing food security benefits. It had talked of making the coverage inclusive and holistic.